The Historical Association is an independent charity incorporated by Royal Charter. We have been supporting the study and enjoyment of history since 1906. 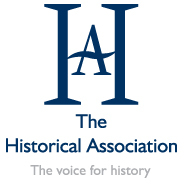 With over 6000 members the HA is the major national organisation representing the case for an historical education to policy makers and ministers. We advise on curriculum issues at all levels and campaign for access to specialist historical knowledge and collections. Through our web resources and our committee work we support teachers of history in primary and secondary schools with a huge range of practical resources helping to develop careers from initial teacher training, through NQT to subject teacher and subject leader. Through our publishing, both online and in print, we support a deeper understanding of history pedagogy and history content. Our teaching journals, Primary History and Teaching History have helped develop history teaching in the UK to become the world renowned subject community it is today.